How to Download Spotify Podcast on Mac for Offline Enjoying? As podcast becomes more popular, there are many specialized podcast apps like Overcast, Spreaker Podcast Radio, with which you can download podcast for free or paid and organize podcast or discover new topics. And you can also find podcasts from popular music streaming or sharing platforms like Spotify, SoundCloud, iTunes, Tuneln Radio, and etc. With these cross-platform applications, you don't have to sit in front of the computer or listen to them in real time, but download the podcasts you are interested in on portable devices. If you are using Spotify as your streaming music and don't want to dig around for a dedicated podcatcher, Spotify is the best place to discover a variety of categories such as Lifestyle, News, Comedy, Sport & Recreation, and more, and you can subscribe to individual podcast, manage downloads, and share them to others through social media. And today we will mainly talk about the podcast on Spotify and share an approach to download Spotify podcast on Mac with Spotify free account for offline enjoying on your multiple devices like iPhone, iPod, Android phones or MP3 player. How to Download Spotify Podcast with Spotify Free Account? 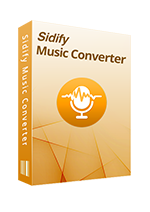 Because you can not enjoy Spotify podcast offline with free account, here we recommend you a powerful Spotify music converter – Sidify Music Converter for Spotify, with which you can losslessly download Spotify tracks, playlists and podcasts to MP3, AAC, FLAC or WAV at fast speed. After downloading, all ID3 tags and metadata including title, artwork, artist, album, and track number will be preserved for organizing your music library. 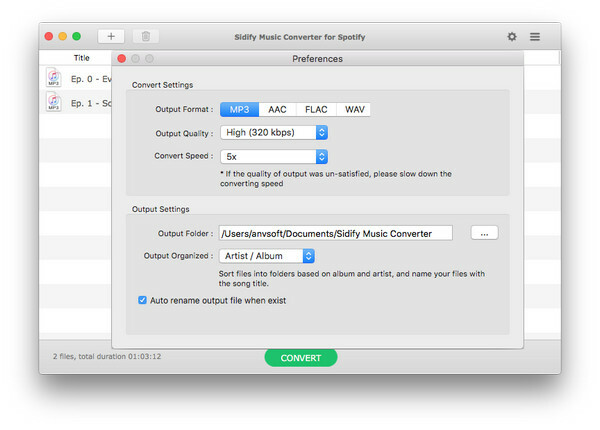 In the following part, we will show you how to download Spotify podcast to Mac with Spotify free account. 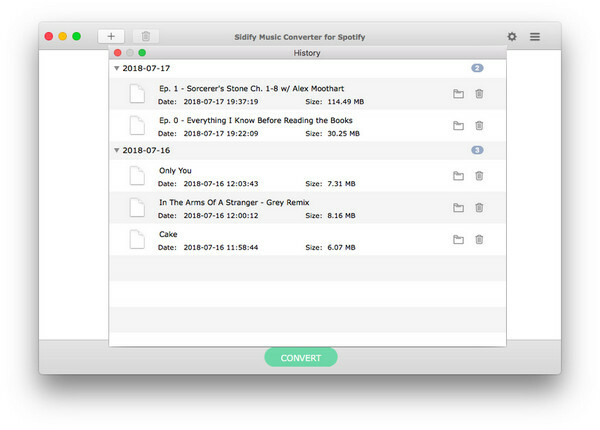 And you can also download podcast from Spotify to Windows PC with Sidify Music Converter. 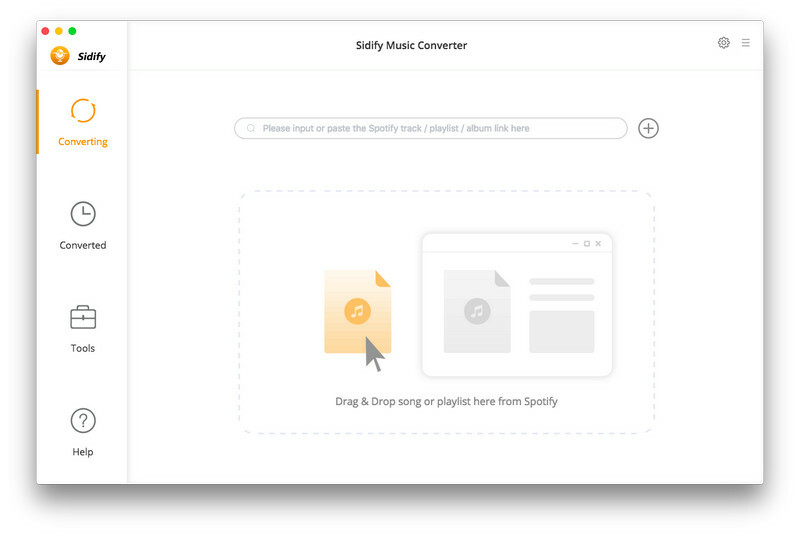 After download and install Sidify Music Converter for Spotify on Mac, you can launch it and Spotify will be launched automatically. Click "+" icon and an adding window will pop up to indicate you adding Spotify podcasts. 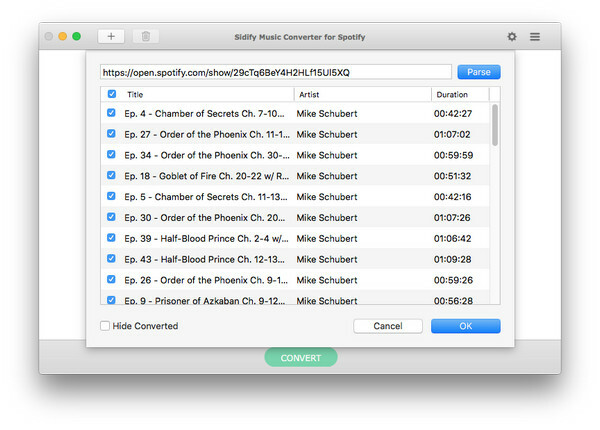 You can drag & drop the podcasts from Spotify to Sidify Music Converter directly. Then click "OK" to add the podcasts to the main interface. Click button at the top right corner and a window will pop up to let you choose the output format, output quality, and conversion speed. Here you can choose the output format as MP3, AAC, FLAC or WAV. 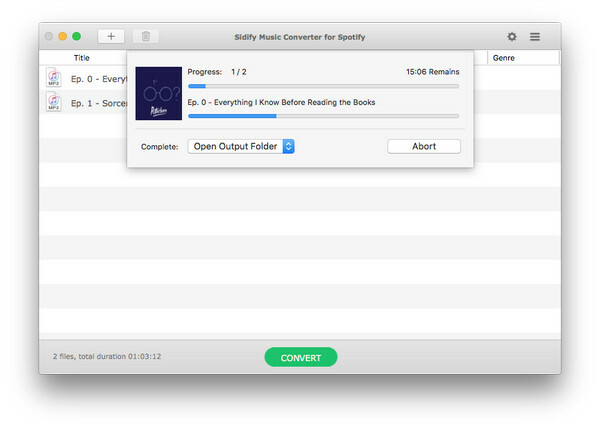 Now you can click on "Convert" button to start downloading Spotify podcasts. After the downloading process completed, you can click button to check the well-downloaded podcasts. With the simple steps above, Spotify podcasts would be saved to your local drive, and you can transfer them to your mobile phones or MP3 player for offline enjoying while traveling on your vacation or exercising in the gym! How to Download Spotify Playlist with Spotify Free Account? 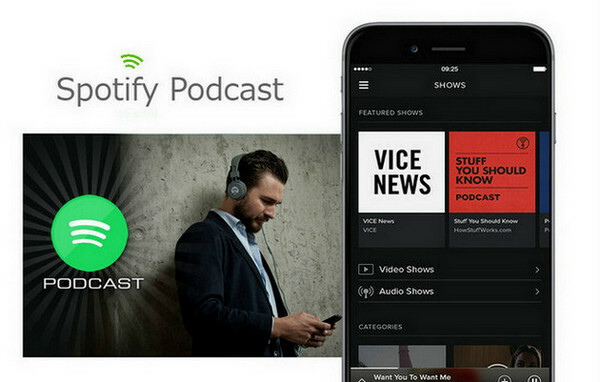 How to Download the Best Podcasts on Spotify as MP3?